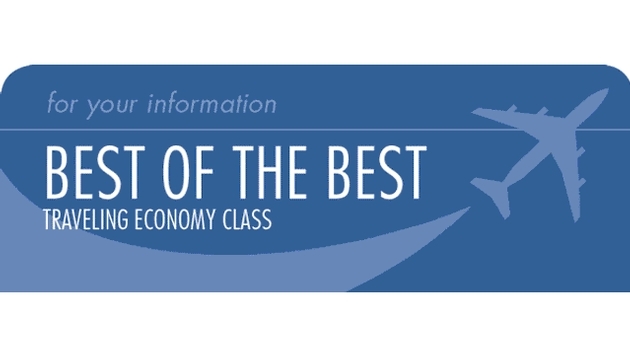 Who Are The Best of the Best Airlines For Economy Class? Airline ticket prices can be the most expensive part of your holiday, so you want to make sure you get the best value for your money when travelling. It’s not just the base cost for a ticket which is an important factor, extra charges, baggage allowance and set meal options are all major considerations which can make a seemingly good price become unaffordable. An online travel review website looked into the major European airlines to see what extras they charge, what’s included in their ticket prices and how punctual their flights are. They have created a fun infographic which is ideal to refer to when choosing your flights for your summer holiday. Credit card charges are the most popular of added charges to airline tickets; research from www.realholidayreports.com found that most European airlines add charges for credit card payments, which can range anywhere from 2 percent of your total ticket amount to a £5 flat charge. However there is some saving grace, with no charges from 3 major airlines; AER Lingus, SAS Scandinavian Airlines and Wizz Air. Free check in to complimentary food and drink as well as punctuality vary from airline to airline, however overall British Airways came out top scoring favorably in many of the categories, from offering luggage included in ticket prices to more legroom on a number of flights with seating included in ticket price. Each airline offers different services, with some having better benefits than others; use this infographic as a guide before you book to find the right airline for you. Chris Clarkson from Real Holiday Reports said, “We know how important booking the right accommodation is for our customers, but just as important is choosing the right flight. All European airlines fly to and from many popular holiday destinations, so you want to make sure you choose the best one for you. www.realholidayreports.com is an independent travel review website.